Compression gear specialists and gold standard owners SKINS USA have dropped their latest training gear range. The full collection can be found at the San Diego, CA-based firm’s website. Here is our World Exclusive, in-person look at a couple of their essential pieces of gear for Winter 2018 and Spring 2019 training and competitive action. 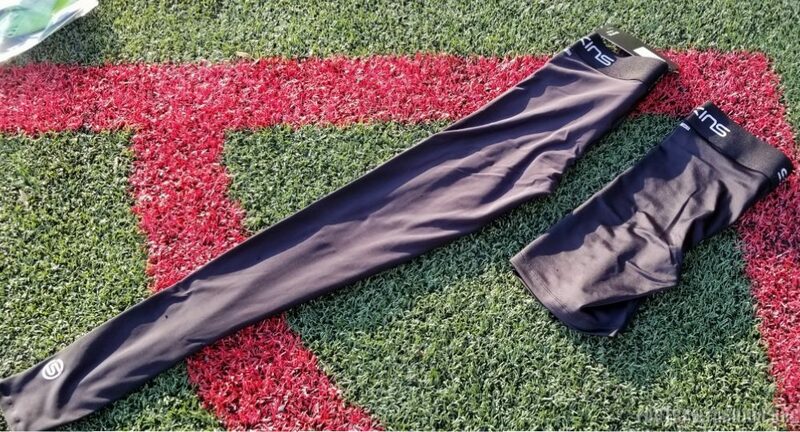 One of the originators in men’s athletic tights, SKINS continues to improve upon their world class garment and performance technology with their new Men’s Compression DNAmic Force Thermal Long Tights. 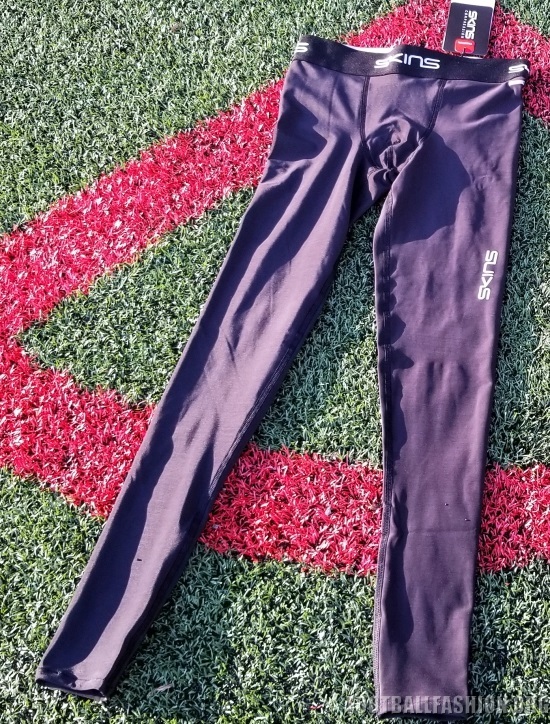 These new tights are designed for outdoor training and even competitive action in the colder winter temperatures that those of us in the northern hemisphere are now experiencing. The fabric is slightly denser than what you’ll find on standard SKINS or other high-end sportswear maker tights. We wore them in temperatures ranging from 25 (outdoors and windy) to 74 (indoors and heated) degrees Fahrenheit for soccer and weight training respectively. They do indeed keep your entire lower body warmer in the cold. A brilliant characteristic is that they are also comfortable and do not make you hot when in higher temperatures. If you didn’t know that they were thermal tights you could easily think that you wear donning regular tights in heated environments. 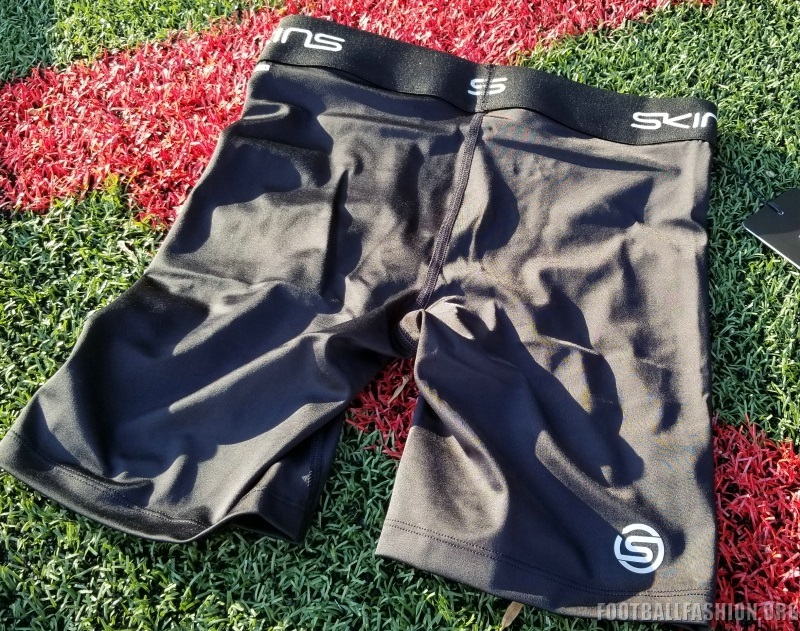 The SKINS Men’s Compression DNAmic Force Thermal Long Tights that we tested have good aesthetics with a dark gray base and reflective logos strategically placed for visibility when worn at night. SKINS’ famous muscle stabilization seams provide stabilization in the groin, posterior and legs. A new wide waistband completes the tights. The new width is a welcome change in that they real lock the tights in. They are also less likely to fully or partially fold over during bending moves. The DNAmic Force Thermal Long Tights are easy to slide on and extremely comfortable and lightweight. We felt like keeping them on long after wearing them for training for muscle recovery purposes. They wouldn’t be bad to sleep in on a cold night. The all new SKINS Men’s Compression DNAmic Force Half Tights may be the quintessential undergarment for male athletes! It is designed to be used as a standalone pair of tights or as a baselayer garment. We opted for the latter since it does expose bit more than we’d like the world to see if worn without shorts or joggers on top. The DNAmic Force Half Tights are an and ultra-supportive pair of compression shorts that keep everything in place below the waist even during the fastest sprint or most intense athletic move that you can must. SKINS’ seams run along the sides of the groin area, at the back and on the inner thighs to provide muscle support. The material that the tights are made of are lightweight but give an extremely reinforcing feel on the upper thighs and glutes. After player soccer in them for 90 minutes you can feel their benefit in that fatigue is less than it would normally be. We think that this is because of the SKINS compression effect that produces the triples effort of support, oxygenation and lactic acid removal. Like the accompanying long tights, the SKINS Men’s Compression DNAmic Force Half Tights has the firm’s brilliant new higher waistband. Its effect was the same in the them as in the thermal long tights. Reflective SKINS logos are printed on the front and back of the tights for safety while training at night for those opting to not wear shorts over them. The SKINS Men’s Compression DNAmic Force Thermal Long Tights and Half Tights both fit true to size. We suggest getting them in your usual baselayer garment size. 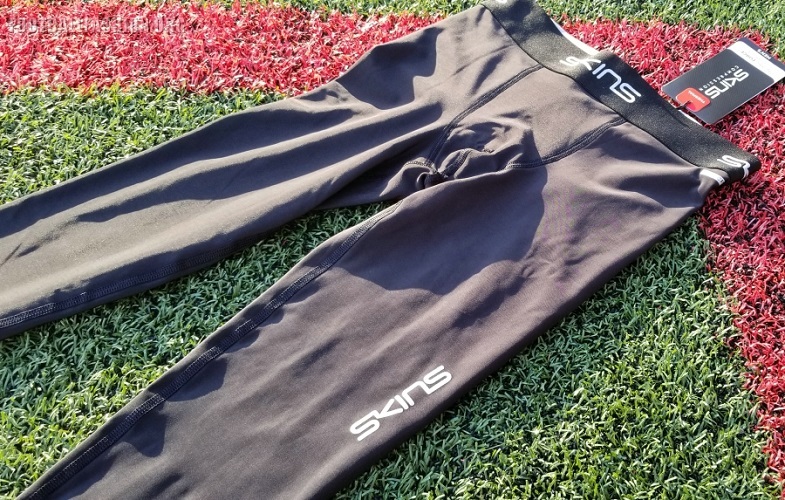 This is important since SKINS gear uses their Body Mass Index (BMI)/anthropometrical algorithm to ensure that their gradient compression system works as best.